Thanksgiving in the United States commemorates that mythical occasion when the Pilgrims and the “Indians” shared a joyous meal together. If we are wishing people a “happy holiday season” between Thanksgiving and New Year’s, whom are we including? I suppose we cannot include Hindus, Jains, and Sikhs, some of whom celebrate Diwali (Festival of Lights), observed beginning in late Ashvin (between September and October on the Christian Gregorian calendar) and ending in early Kartika (between October and November). And what about the estimated 16% of Americans who define themselves as “religiously unaffiliated,” “atheist,” “agnostic,” “freethinker,” or “non-believer,” as well as members of some religious sects, for example, Jehovah’s Witnesses, many of whom do not celebrate any holidays? 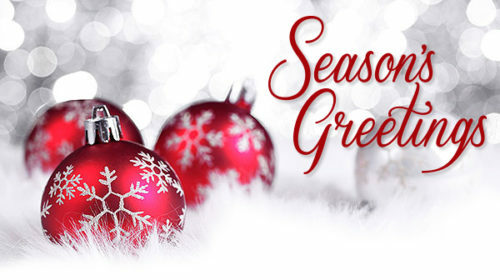 What events are we including in our “season’s greetings”? A major happening that comes to mind is the winter solstice in the Northern Hemisphere: that exact split second — usually occurring on December 21 or 22 on the Gregorian calendar — when the earth’s axial tilt is farthest from the Sun. Also called the “first day of winter” in the Northern Hemisphere, the winter solstice marks the seasonal reversal when days begin their gradual lengthening and nights shorten. Many groups celebrate the winter solstice in a number of ways, from sharing a meal to lighting candles, hanging lights, and having song and dance fests. Furthermore, in December, among many other celebrations, there’s Hanukkah, also known as the “Festival of Lights,” an eight-day Jewish holiday observing the rededication of the Second Holy Jewish Temple in Jerusalem in 3593 on the Jewish calendar (167 BCE on the Gregorian calendar), when the Maccabees conducted a revolt for independence. Chanukah begins at sundown on the 25th of Kislev on the Jewish calendar, which falls anywhere from late November to late December on the Gregorian calendar. Celebrants light candles each night on candelabra called menorahs. In addition, Kwanzaa, created by Maulana Karenga and first celebrated in 1966, honors African heritage and culture. It is commemorated annually between December 26 and January 1 on the Gregorian calendar. The name was drawn from the Swahili phrase “matunda ya kwanza,” meaning the “first fruits of the harvest.” Celebrants light candles each night on candelabra called kinaras. And then there’s Christmas, celebrating the birth of Jesus of Nazareth. Though no one knows the actual date of the birth of Jesus, most Christian denominations — though not all — celebrate it on December 25 on the Gregorian calendar. Earlier and earlier each year, often now following Halloween in late October, merchants and media begin proclaiming “happy holidays.” While many holidays, both religious and secular, occur around this time, “happy holidays” is in all actuality coded language for “Merry Christmas” and “Happy (Christian) New Year.” In fact, most non-Christian major holidays do not fall in December. How many people in the United States really care about or are even familiar with the non-Christian holidays and celebrations that fall around this time of the year? What are these “Winter parties,” “Winter concerts,” “Winter school breaks,” and “Winter vacations” really about? I would ask, how many Christians would even have heard of Hanukkah had it not usually fallen in December on the Gregorian calendar? In actuality, Hanukkah is a relatively minor Jewish holiday — equivalent to, say, Arbor Day. What we are experiencing is a form of Christian cultural imperialism (hegemony): a promotion of the larger Christian culture, celebrations, values, and beliefs. I define Christian hegemony as the overarching system of advantages bestowed on Christians. It is the institutionalization of a Christian norm or standard, which establishes and perpetuates the notion that all people are or should be Christian, thereby privileging Christians and Christianity and excluding the needs, concerns, cultural practices, and life experiences of people who do not define themselves as Christian. Often overt though at times subtle, Christian hegemony is oppression by intent and design, as well as by neglect, omission, erasure and distortion. While some of its religious significance has diminished over time as traditional Christian religious practice has entered the public square, on critical analysis, the clearly religious meanings, symbolism, positionality and antecedents of generalized holiday observances belie any claims that they have become fully secularized. The effect of the so-called secularization of religion, in fact, not only fortifies but indeed strengthens Christian privilege by perpetuating Christian hegemony in such a way as to avoid its detection as religion or to circumvent constitutional requirements for the separation of religion and government. Christian dominance, therefore, is maintained by its relative invisibility; and with this invisibility, privilege is neither analyzed nor scrutinized, neither interrogated nor confronted.